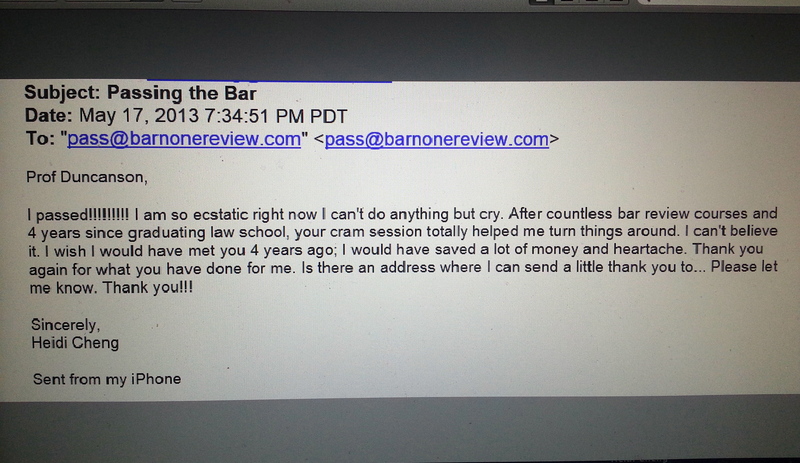 California Bar Exam – This is why I do what I do . . .
First of all, thank you for following the blog. It is quite a humbling thing to hear from so many of you, I really appreciate it. Our next Bar Exam Cram Session for the July 2013 Bar Exam will be held on Saturday, June 1st and Sunday, June 2nd. Stay tuned for more details on enrollment. Additional dates will be held in July. Locations include: Los Angeles, Irvine and San Francisco.